There are days when each and every one of us wakes up....and thinks with great excitement, of all the wonderful things that we get to do that day. And then, there are other days when we wake up....and we hurt, or we are sad, or we are lonely, or maybe we just don't have hope or something to look forward to. On those days, it is all we can do to simply get out of bed, wish that things weren't as they are, or that we could relive the past and have everything be different. I have had all of those kinds of days...and I am sure that most of you, have had them, too. But even on the hardest days...the days of severe loss or pain, the days of deepest sadness or even depression...there is still the ever flowing undercurrent of knowing that it may not always be this hard, this sad, or even this way. Things will get better. We hope that they do, we pray that they will, and we take that hope...that tiny thing with feathers...and we set it free to fly. Like many of you, I have had my share of hard times. Like many of you, I have battled chronic illness, chronic pain and I am a lifelong insomniac. I have had devastating losses in my life and have had to face Finding My Center Amongst Life's Challenges over, and over, again. I have lost all four grandparents, uncles and aunts, both to death and to Alzheimer's Disease...a loss of another kind...and am now facing the gradual loss (to Alzheimer's) of my own mother. But, I still have...at ages 90 and 82...both of my parents. And as one friend told me the other day: "You don't know how lucky you are. I lost my dad at 50." That really made me think and think deeply. I am lucky. I am lucky and I am blessed and I need to not only treasure this, but remember it, always. You all know (because of my previous sharing) just how much I love and treasure my family. 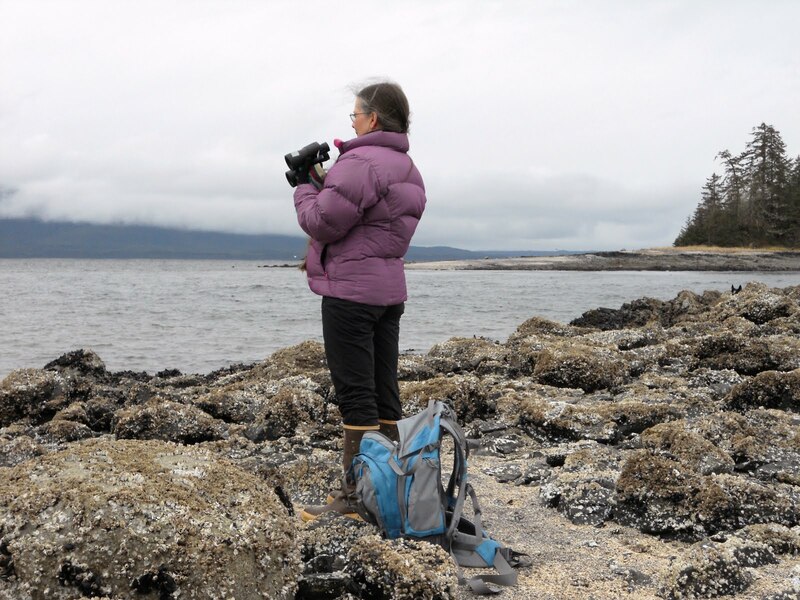 When my mother was diagnosed with almost incurable breast cancer, I moved her and my father, from Juneau, Alaska to Salem, Oregon to live with me. We battled that cancer together and forged a bond between the three of us that is so deep, it is almost impossible to describe. My mother is still alive, through almost impossible odds, 5 years later. And yes, I was so very lucky to be there, with her, and be able to wish her a Happy 82nd Birthday, Mom. I may live 1,000 miles away and I may have spent entire decades without seeing them for more a handful of times, but I am lucky to live in a time now, when I am able to go up and be with them for weeks at a time. The nine intense months that we were able to share while they lived here in Oregon, more than made up, in many other ways, for the years and years we were not able to see each other. So, I know in my heart, that goodness and gifts can come out of hard times and pain. I have learned through my own life's experiences, through pain, through loss, through battle, that each and every day...in the truest and deepest meaning of those words...really and truly is a gift. So, today, I dedicate my sixth fabric art quiltlet (featuring a wrapped gift in the center) of my Alzheimer's Art Quilt Initiative project to all of our days ahead. That's why today is called the present. 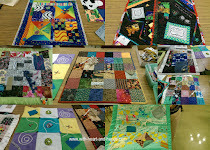 Contributions: Ami Simm's "Priority: Alzheimer's Quilts"
It is a true blessing to have your mom and dad with you. No parent wants their children to take care of them when they are older but sometimes it has to be done. Each and everyday is a gift and I am so happy to share my gift with you as you share with me. Your friend is right in that you don't know how lucky you are that you have both parents. Both of mine were killed in a devastating flood when I was 25 years old. I've had to learn things the hard way, on my own, and I cherish my small family. From everything you have shared with us here, it seems to me that you do know how lucky you are, and you cherish the time that you can spend with them. 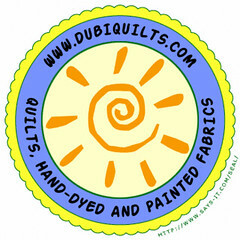 Your art quilt is beautiful - I think it is your best quiltlette yet. I really like the beading and the decorative stitch you used to attach the inchie. 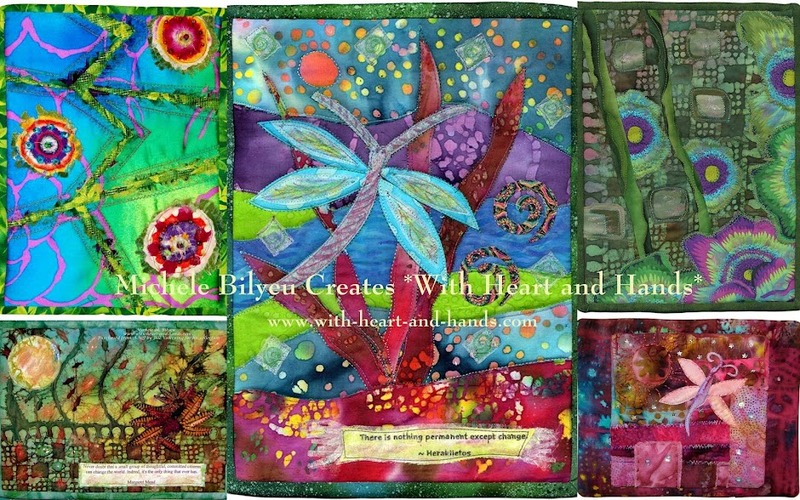 Every day really is a gift -- and you are memorializing those gifts beautifully with your quiltlets.